Love Harry Potter? Join us for a step-by-step painting session as we paint a Harry Potter themed canvas. Please dress for a mess! Using a simple felting method, students will create flat 2D works of art out of wool fibers. We will also take a look at how contemporary artists use fiber art during this introductory workshop. During this fun-packed workshop, students will learn how to draw multiple patterns using basic lines. They will then create multiple pieces of artwork using their newly obtained skills. Portraiture artwork is a skill many artists have mastered and put their own creative spin on throughout art history. During this two day workshop, students will learn how to realistically draw a human face and how to distort features to create their own unique pieces of art. Play clothes are a must! A paper clip isn’t just for the office in this fun afternoon workshop. Students will learn how to turn paper clips into wearable jewelry that they can take home that day! Chimeras are mythical animals that are made up of a modge podge of different animal features. 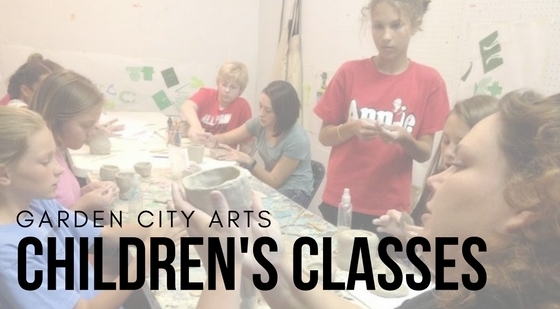 During this three day workshop, students will have a chance to make their own 3D Chimera using papier-mache. Play clothes are a must!